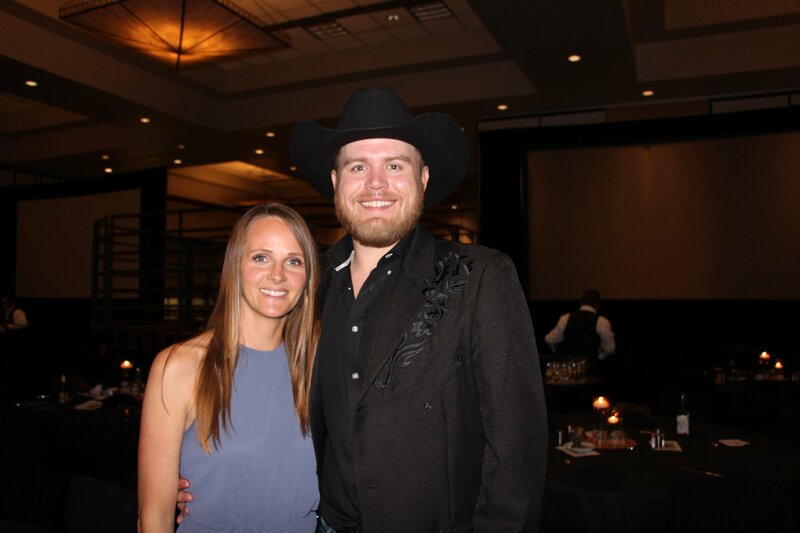 Jaymie and Chase Vasut of Rockin AF Ranch at the TLCA Legacy XIV Sale. The data below was gathered by Hired Hand. We share these trends and averages for our customers and breeders in the Longhorn Industry who could better their programs by analyzing it as it best suites them. We welcome your feedback or additional data requests. This data is not officially endorsed by the sale. There were 0 scratches and 3 PO's. There were 3 scratches and 11 PO's. There were 3 scratches and 14 PO's. With this being the 4th sale of the year to be included in our Hired Hand Live trends & Averages series, the 2018 annual average to date is: $5,713. Scroll down for separate reports from both Friday & Saturday's sales. Most popular sire of both sales, Sittin Bull, based on having at least 2 offspring selling and their values. Most popular grand sire of combined sale totals, J.R. Grand Slam, based on having at least 2 offspring selling and their values. For more information on adding Hired Hand's services to your next sale please contact Molly at 319-269-8903 or visit www.hiredhandsoftware.com/services.